Our story was inspired by new seasons and the 1960's - specifically Spring, and the youth, sweetness and love between this beautiful couple. The yellow gorse is abundant at this time of year, and there's no hiding from it. It is by no means the first nor the only dash of colour in the countryside in Scotland over springtime, but after a long dark winter where bright colours are short in supply, it emerges so boldly and so brightly, and in such stark contrast to the subdued winter, that it sometimes feels like the first and only colour of the Scottish spring. We wanted to incorporate these bold and vivid colours into our storyboard, and it was a dream to see the wild Scottish landscape blanketed in this brightly coloured flora. 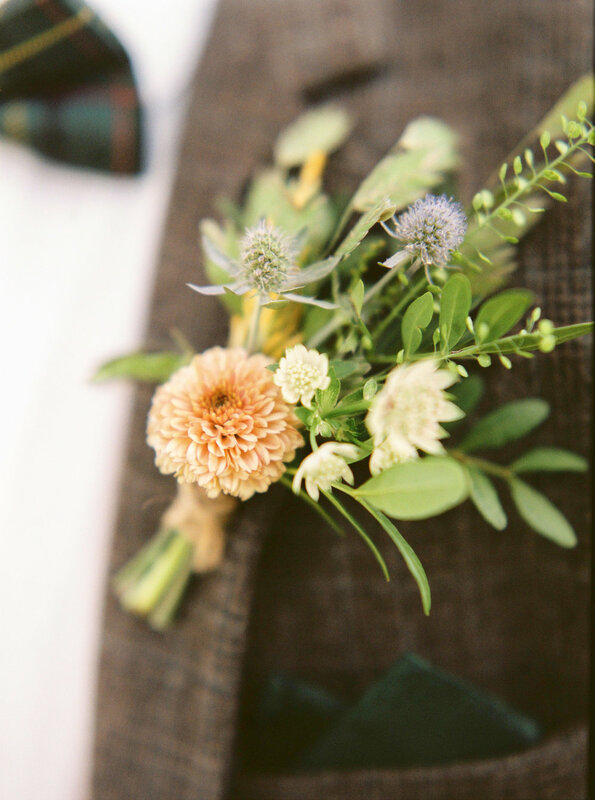 We wanted to channel a more 60's vibe, where the groom - still typically Scottish, wore a muted tartan suit by Harris Tweed and a bold green choice of bowtie - a nod to their heritage, yet modern and hipster as was to be expected during the Summer of Love - and the bride was a boho dream with fresh flowers in her hair and a delicate Swiss dot floral caped dress. When looking back at old photographs of our parents getting married, we pulled inspiration from their choices at the time. 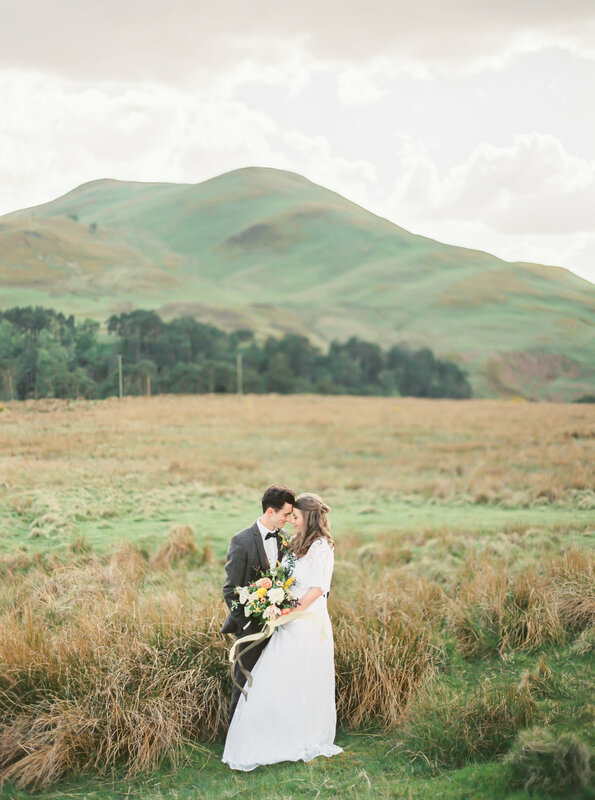 Often getting married much younger than we do today, we wanted to recreate something that was timeless and fun, yet free-spirited and elegant and chose the rolling Scottish Pentland Hills to play host to the editorial that day. By using pops of red and yellow, along with our outfit choices, the love between these two really translated across the lens into the image and created a wonderful mid-century modern shoot that we are all in love with. 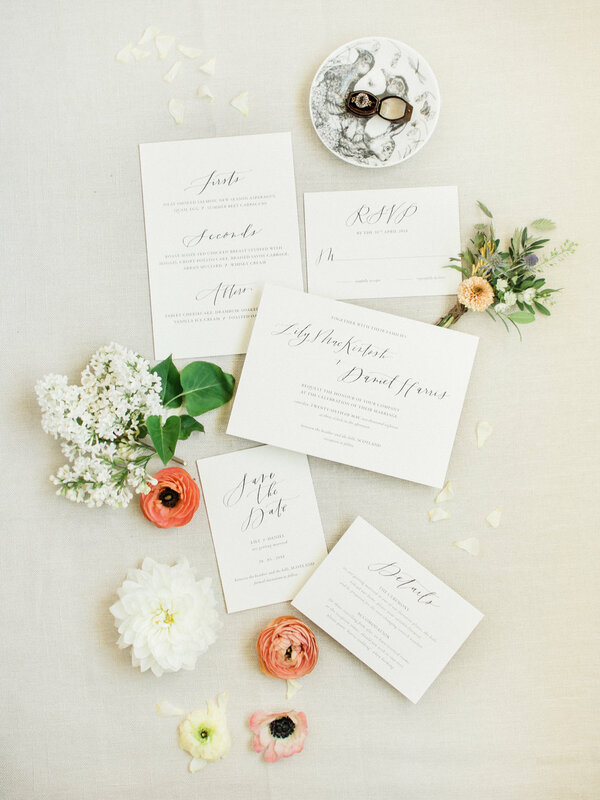 Stationary & Paper Goods — Brahmin Lettering Co.